Nancy, LOVE your heart vines and those big bold letters! 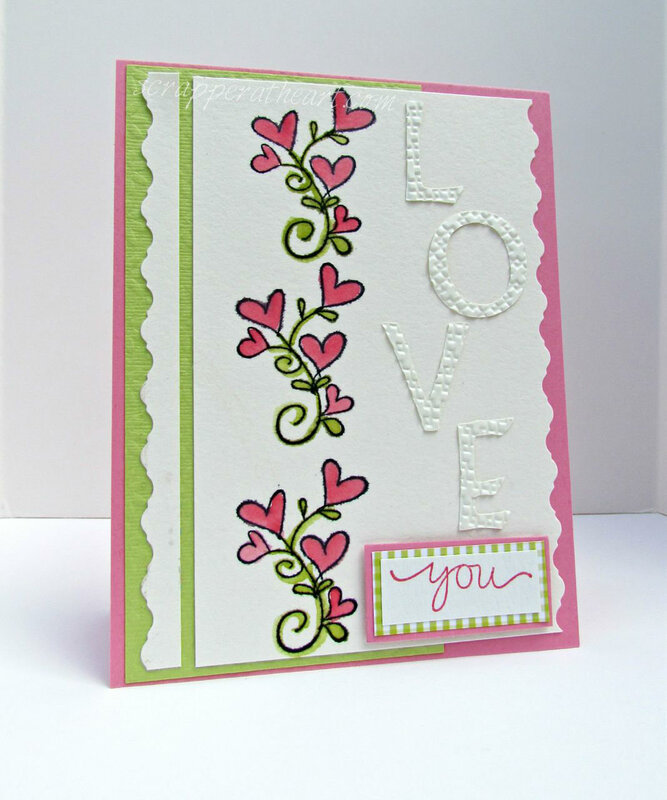 PRETTY card and the green is a nice accent color! Nancy, what a pretty valentine! Love how you colored your triple image and then added the green on the side! the white on white letters add a nice dimension! A super valentine! What a fun and beautiful card, Nancy! Great color combo! I love all of the hearts, that border and those gorgeous “love” letters….nicely done! This is lovely, Nancy. I like the way you took the offcut and put it on the other side. It breaks up that green just enough. Love your card, Nance! The L-O-V-E letters look really cool with the white on white thingy you have going on! This is so pretty and delicate. Love the embossed letters. Oh so fabulous with the textured letters! Don’t you just love watercoloring? I’m so enjoying it late as well! Your card is lovely! Love how you did the letters too! What a beautiful card. I love it! Great colors and great texture too! Wow, Nancy, you nailed this one! I love your heart vine and that textured white LOVE against the white background. Beautiful! What a great job! Love what you did. The “love” letters look great! Beautiful card! 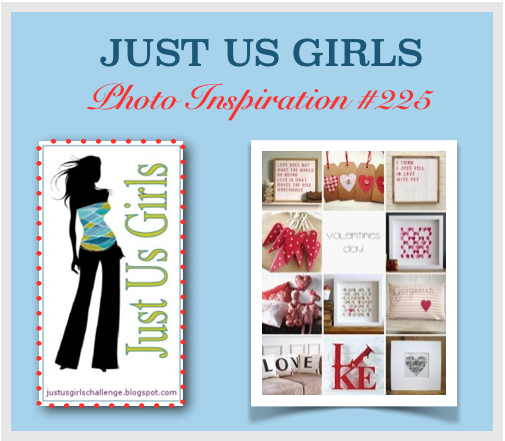 Love the images, colors & those wonderful letters!